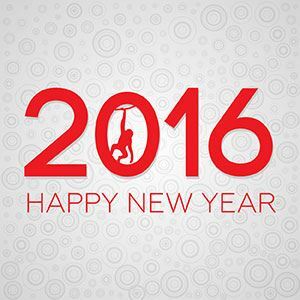 We wish all our team members, customers and suppliers a good Year of the Monkey! 2016 is in Chinese astrology the year of the Monkey. And in Monkey years quite often trends are set. So this year as well we can expect new ideas and lots of innovations, especially within the technology branche. Still remember....in the previous year of the Monkey, 12 years ago? Then Facebook was launched as well as the phenomenon 'sociale media'. What will happen in 2016? In any casea lot of opportunities and entrepreneurship. We wish you all a wonderful Monkey year!